Hey, I don't know if you guys heard, but I just found out on Toughpigs and the Muppet Mindset that Steve Whitmire is no longer part of the Muppets. At first I thought it was a joke, but it's been confirmed. I just read this too! I can't believe it. Being born in '88, Steve's Kermit is essentially the Kermit I grew up with. But actually what I'm more concerned with will be his own characters, especially Rizzo. Again, growing up in the '90s, Gonzo and Rizzo were really my "main Muppets", I think seeing a new (or possibly retired) Rizzo will be the most difficult thing for this. I'm interested to hear why he retired. Of course, he's allowed to do whatever he wants lol but I just hope it's because he wants to move on to other things and there isn't any bad blood or anything. GonzoMan and goldenstate5 like this. Yes, I created a thread on this topic a few days ago, but had it taken down, as I felt it wasn't my place to bring up the matter. Nor did I have concrete evidence beyond rumors. Plus, I was fairly certain the rest of you were going to kill me for not having further evidence! This is unfortunate. I won't speak of the rumors I've heard as to why Steve departed, but I wish him all of the best. Ditto to Matt for his new duties. They didn't really say why Steve left, or if they did, I must not have seen it. But I do wonder too what will happen with his other characters and who will perform them. I'll also miss the comedy pairings of Steve and Dave (Goelz). Gonzo and Rizzo made a great pair. I must also note that being born in 1992, Steve's Kermit is the Kermit that I grew up with, as I hadn't been born yet when Jim Henson died. pjtoadie and muppetlover123 like this. NO NO NO NO NO NO NO. THIS IS ALL A COVER UP, CONSTANTINE ESCAPED AGAIN AND PAYED DISNEY BIG MONEY TO FIRE STEVE. THAT'S WHAT HAPPENED. KrazyJoe, Muppet Master and ConsummateVs like this. Get used to the Constantine jokes, folks. You're going to be seeing a lot of them from fans now. For the record, I've heard that Peter will be Robin now, since Matt is busy with Kermit. But let's focus on Steve now. Lets try our best not to be sad over the matter, but rather happily remember those great Steve characters and moments that he gave us over the years. Oh, and please give Matt encouragement. Yes, it will take some getting used to, but I for one have a lot of confidence in him. MikaelaMuppet, Princeton and Pig's Laundry like this. Yes, let's do that. It will actually be funny to hear Matt as Kermit, since he was Constantine. 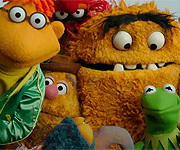 So at the very least, Constantine will be back with the Muppet gang (you guys see what I did there, right?). MikaelaMuppet and BlakeConor14 like this. As much as I hate to be the "conspiracy theorist," I just can't help but wonder if Steve's departure is in similar vein as that of Kevin . . . I mean, why else would Steve want to leave when this was his childhood dream and the Muppets are essentially back in the public eye once again and have been for a number of years? I can understand if he wanted to step away from SST since traveling to NYC for just one character wasn't practical, but as someone pointed out, he's otherwise not just Kermit, but Rizzo, Statler, Link, Beaker, and others. He's not of retirement age yet, is he? I mean, I wouldn't think it's as that major as Kevin's case, but I think Kevin knew it was coming. But steve hasn't worked with The Muppets for a full 40 years yet, but I'm sure we'll have some reasons soon. Also, yeah, he's not really of retirement age yet but he probably saved a bunch of money. I mean, he worked with The Muppets! Huh. I guess the rumors were true. I really wonder why Steve is out; I don't think it can be at his own accord. I wish Matt the best of luck and I hope we can all adjust. Something of note, Steve took over Kermit at 31, Matt is doing it at 47. Who knows how long this could last. 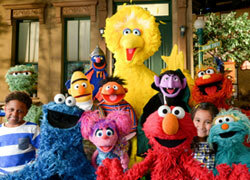 And how this will affect his time at Sesame. Matt's a really great, versatile performer, and he's done such a great job with Jerry's characters (which is no easy task, since Jerry had a unique voice). I'm sure he'll do well with Kermit, but as I've mentioned throughout the years on MC, I feel like David Rudman probably could do a decent Kermit - his Peter Cratchit voice in MCC sounded a lot like Kermit. Oh my God! This is shocking. There were rumors that I didn't want to be true, and they were even dismissed by guys who worked with the Muppets. I can't believe this is happening. Steve is one of my two favorite performers. I grew up with him. I can't imagine getting used to another performer taking over his characters; not just Kermit, but especially Rizzo, the character he created. Steve was still at the top of his game, and since The Muppets, Muppets Most Wanted, and the recent TV show he's delivered some of his best performances. I just hope he's happy in his next phase of life and wasn't fired like earlier rumors stated. As depressed as I am, I can only imagine how @JimAndFrank must be feeling. GonzoMan and JimAndFrank like this. Sad news to hear, I know for a lot of people who were born in the 90s Steve was Kermit to them. And for all those who remember the anxiety of somebody taking over from Jim, Steve did a very good job, Muppet Christmas Carol is now an annual event for me. Wishing the new performer all the best in the role, big shoes to follow but talented in own right and im sure he'll do a great job, as Steve did taking over from Jim. Heh, yeah. But you know, it's funny. I actually said back when I first saw MMW that Matt's Kermit impression was pretty spot on (especially in The Interrogation Song). Huh. I guess the rumors were true. I really wonder why Steve is out; I don't think it was of his own accord. Dang it Shane! You just had to make this worse, didn't you?!? lol. Giving Matt encouragement, that I can do. But, being happy right now about the "good old days" kind of feels like forcing yourself not to mourn when a loved one passes. Wow. This is absolutely shocking. I guess the first "big production" we are going to see with this new lineup will be at the Hollywood Bowl. As much as I really want to know the reason why Steve left, the hesitation for people to spill the beans makes me a bit worried. Thank you, Steve, for many years of memories. Also, best of luck to Matt. Edit: I was scrolling through Reddit, and found some more details. Over two months ago, a user by the name of "muppetmaker" clearly stated that when Steve's characters returned, they would sound different. They also just said today that there were 3 people in consideration for the role of Kermit, and Matt was the right choice. They also mentioned something about a "constant battle with Disney"
Can you find the link? Really hoping that we get to hear a statement from Steve at some point.